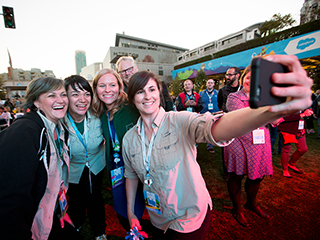 Dreamforce is a lot of things- a technology conference, a family reunion, a chance to network, a music festival. It’s also an opportunity to give back, and this year was no exception. This year, we showcased our partnership with (RED), an organization started by Bono and Bobby Shriver, whose mission, through fundraising and awareness, is to deliver an AIDS-free generation. In addition to the amazing speakers, trendy merchandise, photo ops and hands-on activities, we also aimed to raise $1M to help (RED) #endAIDS. Thanks to a generous contributions from attendees, employees and the Bill and Melinda Gates Foundation, we raised $3M! Dreamforce played host to the 7th annual UCSF Benioff Children’s Hospital Concert for Kids, where attendees rocked the night away to U2 and DJ’s MC Hammer and Will.i.am- raising $10M for the hospitals. Attendees had the chance to get their hands dirty with different activities on Dreampark each day. For Tuesday’s education day, attendees packed 2,000 early STEM education kits with Too Small to Fail. Health was the theme of the day of Wednesday and attendees assembled 2,000 Food=Medicine bags for seniors and the critically ill through Project Open Hand. Thursday was all about Equality, and attendees supported young female entrepreneurs launching their lemonade stand on Salesforce. Finally, Friday was a day of compassion and companies and individuals committed to join the giving movement and #PledgeitForward. 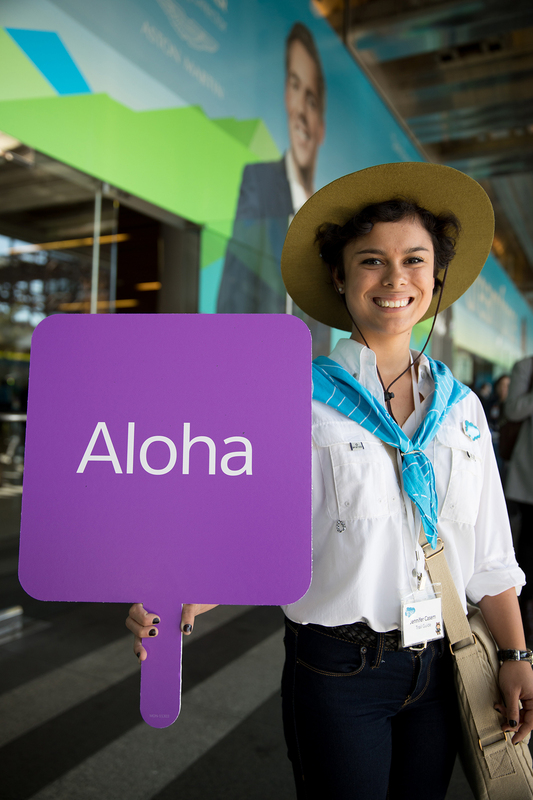 Dreamforce isn’t just for the tech professionals among us. 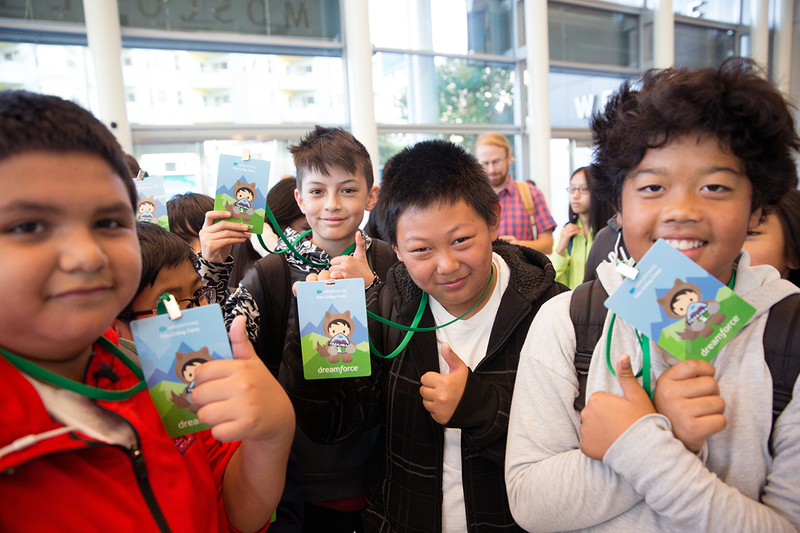 More than 400 students from San Francisco and Oakland Unified School Districts joined the festivities for coding classes, maker workshops and campus tours. #DFGives is about more than just the people in our community. It’s also about the environment, and this was the greenest Dreamforce yet. 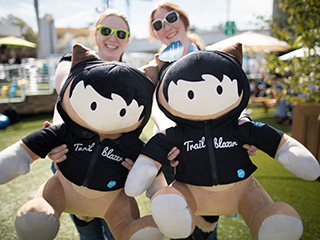 More than 350 employees volunteered as Green Angels, helping attendees properly sort their food waste, drought-friendly food choices saved more than 3.5M gallons of water, and Salesforce offset 100% of onsite and employee travel emissions. Learn more about our sustainability initiatives here. 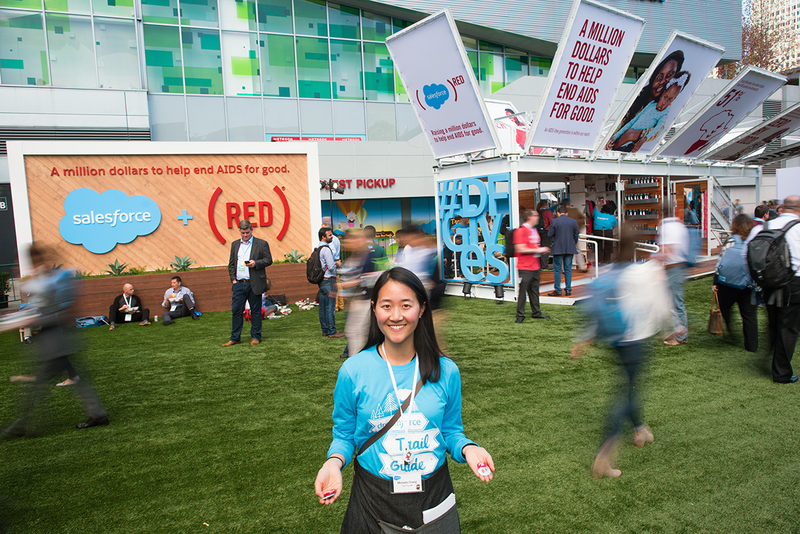 Thank you to everyone who helped make this the most giving Dreamforce ever! We’re already looking forward to seeing you next year.